Tokyo – Mitsubishi Motors Corporation (MMC) will be showing a total of 15 vehicles (12 on Press Day 1) at the 42nd Tokyo Motor Show, held at the Tokyo Big Sight convention centre in Tokyo from November 30 through to December 11 (open to the public from December 3). HEMS makes life more comfortable for people living in homes installed with it by continually monitoring power available to power being used and optimizing both so that effects of energy shortages and energy costs can be reduced. Connected to a “smart home” with HEMS, EIS constantly monitors EV/PHEV battery usage and efficiency (which varies on how the EV/PHEV is driven), feeds this information to HEMS, which then optimizes charging from the house so that the EV/PHEValways has enough energy in it. The Mirage’s2 design focused on compactness, affordability, and high fuel efficiency in order to fit the needs of emerging markets as an affordable entry-level model as well as needs of advanced markets for fuel efficiency and low-CO2emission. In addition, the Mirage features good maneuverability and easy drivabilityinherent to a compact car while also providing a comfortable interior space for five adults. MMC has targeted top-of-class fuel efficiency (Japan market version) of 30km perlitre through a variety of measures including painstaking reduction in weight throughout almost every part of the car, reduction in rolling resistance and higher efficiency through detailed improvements to the engine, transmission, brakes andtyres, and an aerodynamic body that reduces air resistance and drag. The new Mirage is due to go on sale first in Thailand in March 2012. MMC has been focusing its EV technology in the Japanese minicar class. MMCbecame the first major automobile manufacturer to bring a mass-produced electric vehicle to market when it rolled out the i-MiEV next-generation EV in 2009. The company will introduce its second mass-produced EV—the MINICAB-MiEVminicar-class light commercial EV—in December this year. These models are very popular as city commuters – vehicles used for transporting small groups of passengers over short distances in urban areas. The Mitsubishi Concept PX-MiEV II, with its high environmental performance and fuel efficiency, effectively extinguishes many negative perceptions of SUVs. MMC’sunique plug-in hybrid system fuses EV technology derived from the i-MiEV with a small conventional engine that features MMC’s latest fuel and environmental efficiency technologies. This combination provides not only a combined fuel efficiency3 of more than 60km per litre, far superior than that of a conventional engine-driven car, but also very high levels of environmental performance while maintaining a cruising range on a par with conventional engine-driven vehicles (over 800 km). MMC’s plug-in hybrid system uses high-capacity batteries that allow the vehicle to cover over 50 km in all-electric mode alone, allowing it to be driven solely as an EVfor most everyday situations. Depending on power consumption and remaining battery charge, the system will start the engine automatically as a generator and the engine can also be used to help drive the wheels as necessary. Delica D:5 1 Powered by new MIVEC engine with Auto Stop & Go (AS&G). Delica D:5 2 One model powered by new MIVEC engine with Auto Stop & Go (AS&G). Pajero 1 Powered by MMC’s own “clean diesel” engine. Mitsubishi Motors Australia Limited (MMAL) welcomes the arrival of the 2012 model year Triton utility line-up with the introduction of two new models; the 4×2 GLX-R Double Cab and the 4×4 GL-R Club Cab. The 2012 Triton offers a high powered turbo-diesel engine with class leading power, a range of safety features and the addition of numerous specification and styling upgrades to offer the most versatile and feature-packed Triton line-up yet. MMAL president and CEO, Genichiro Nishina, is proud to roll out the 2012 Triton range, and is confident that sales for the versatile and tough utility will continue to grow with the release of the two new models. “The Triton range caters for every customer, whether they need a rugged workhorse, a comfortable family vehicle or a combination of both,” Nishina said. The 4×2 GLX-R Double Cab is based on its 4×4 counterpart. With three-tonne towing capacity, auto air-conditioning and USB port, the new model is perfect for customers who need a hardworking vehicle without four-wheel drive capabilities. The second new model to join the Triton 2012 line-up, 4×4 GL-R Club Cab, is based on the model year 2012 GLX. The cabin features a leather steering wheel and gear shifter and the inclusion of floor carpet to give a comfortable feel. The Triton’s functionality and lines have been enhanced with the addition of a rear step bumper, side steps, stylish front bumper, 16-inch alloys and a sports bar. Across the Triton 4×2 variants there have been a number of specification and styling upgrades, starting with the entry-level GL Single Cab and GLX Single Cab models which both gain sports seats with vinyl flooring, floor console with lid and the ability to adjust the height of the driver’s seat. In addition, ABS with EBD is now standard on the GL model while the GLX now comes with Active Stability and Traction Control. Safety has been improved on the 4×2 GLX Double Cab Diesel with the addition of Active Stability and Traction Control as standard. This model, along with the 4×2 GL-R Double Cab, gain a rear centre three point seat belt and head restraint plus centre arm rest with cup holder. The GL-R also gets an updated front bumper and grille to refresh the exterior. The entry-level 4×4 Triton GLX Single Cab’s cabin has been upgraded to include sport seats with vinyl flooring, floor console with lid and driver’s seat height adjustment. Externally, the GLX gets 16-inch steel wheels and front fender flares while safety is improved through the inclusion of Active Stability and Traction Control as standard. The next model up, the hard-working 4×4 GLX Club Cab, is now tougher than ever with towing capacity increased to three tonnes and the inclusion of ASTC as standard. The exterior also receives an update thanks to wider 16-inch steel wheels and tyres as well as front and rear fender flares. The 4×4 Triton’s 2.5-litre engine with 131 kW of power at 4,000 rpm and 400 Nm of torque at 2,000 rpm delivers combined fuel economy figures of between 8.0 to 8.3L/100km, depending on the model. Automatic variants generate a similar amount of power, 350Nm of torque, and achieve a combined fuel economy figure of between 9.3 – 9.6L/100km, depending on model. The two-wheel drive 2012 Triton GL retains the popular 2.4-litre petrol engine while the GLX, GL-R and GLX-R are available with the economical 2.5-litre diesel engine. The petrol engine generates 94kW of power @ 5250 rpm and 194 Nm of torque @ 4000 rpm, offers economical fuel consumption figures of 10.9 litres per 100 km and is coupled with a five-speed manual transmission. The diesel engine generates 100 kW @ 3800 rpm and 314 Nm @ 2,000 rpm, and returns economy figures of 8.2- (manual) and 8.6- (automatic) litres per 100 kilometres. Mitsubishi’s All Terrain Technology (MATT) is standard on all GLX-R models, and features the acclaimed Super Select four-wheel drive system, which includes ASTC, ABS, Electronic Brake Force Distribution and an optional Diff Lock. All 2012 Tritons have standard driver and front passenger SRS airbags, front and rear door impact bars, front seatbelt pre-tensioners and child restraint points. The 2012 Triton model range presents customer’s with flexibility, with five two-wheel drive models and six four-wheel drive models, catering for all requirements. “Mitsubishi offers a utility vehicle that really does have the lot. Powerful and tough enough to get through a work day while still being stylish, efficient and comfortable enough to get around town, the Triton line-up is versatile and functional,” Nishina said. Based on the 2012 model year 4×4 GLX-R, the 30th Anniversary Edition is available with a 2.5-litre turbo diesel engine coupled with five speed manual or Sports Mode automatic transmission and features unique 30th Anniversary badging. The Outlander LS two- and four-wheel drive variants get a fresh look with the addition of chrome front grille ring and body colour door handles. The interior has also been upgraded with leather-look dash and door trims, new seat trims and the clever warm/cool box which allows you to keep drinks at the right temperature in the upper glove box. The 2012 two- and four-wheel drive Outlander LS also comes with an optional Convenience Pack which includes reversing sensors, Bluetooth 2.0 hands-free phone system with steering wheel controls and reversing camera, available for a retail price of $970. The camera monitor appears in the rear-view electro-chromatic mirror automatically when reverse gear is engaged, improving driver visibility. In addition to the previous LS improvements, the LS four-wheel drive seven-seat model also receives Bluetooth 2.0 for increased cabin convenience along with reversing sensors and an electro-chromatic rear-view mirror with camera monitor. The sporty XLS Outlander has been enhanced with partial leather seat trim, body colour door handles and a rear-view camera monitor in the electro-chromatic mirror to provide greater driver visibility. The premium VR Outlander is now even more comfortable thanks to the inclusion of Bluetooth 2.0, while driver visibility has been enhanced with the addition of the electro-chromatic rear-view mirror with reversing camera. The handy warm/cool box has also been included in the VR’s upgrades, along with chrome front grille ring, leather-look dash and door trim, new seat trim and body colour door handles. MMAL’s vice-president of Corporate Strategy, Paul Stevenson, said the refreshed Outlander delivers space, comfort and versatility across the 2012 range. “The Outlander offers customers a sporty and stylish vehicle to suit their active lifestyle whilst representing great value,” said Stevenson. The 2012 Outlander range is available with an economical 2.4-litre, four cylinder MIVEC engine coupled with a five-speed manual or CVT automatic transmission to provide up to 125kW of power and 226Nm of torque. Outlander VR and the seven-seater VRX provide up to 169kW of power and 291Nm of torque through the 3.0-litre V6 MIVEC engine with six speed automatic transmission. With flexible seating for five or seven people, the versatile Outlander moves seamlessly between practical family car and sporty weekend adventurer. The Outlander offers outstanding occupant and driver safety utilising the latest Mitsubishi safety technology. Standard safety equipment includes Mitsubishi’s RISE body protection along with front driver and passenger, side and curtain SRS airbags. Available colour choices across the 2012 Outlander range include Red, Cool Silver, Ironbark, Sapphire Blue, Black, Effect Grey and White. All Outlander models are covered by Mitsubishi’s 10 year / 160,000 km non-transferrable drive-train warranty, five year / 130,000 km new vehicle warranty, free five year/130,000 km Roadside Assist and Capped Price Servicing for the first four years or 60,000 km of ownership. The Outlander LS, XLS, VR and VRX are available now at over 200 Mitsubishi dealerships Australia-wide. To celebrate 30 years in Australia, Mitsubishi Motors Australia Limited (MMAL) has announced the release of the 30th Anniversary Edition Outlander. With a host of specification and styling upgrades, this special edition Outlander offers versatility and value. Based on the 12MY Outlander LS, the 30th Anniversary Edition Outlander features a range of exterior upgrades including 18-inch alloy wheels, fog lamps, privacy glass and special edition 30th Anniversary badges. The interior of the 30th Anniversary Edition Outlander also receives a number of upgrades with leather-trim seats, heated front seats, Bluetooth 2.0 with steering wheel controls, and Smart Key keyless entry to enhance the Mitsubishi experience. Safety has been increased with side and curtain airbags added to two-wheel drive variants, a feature already standard on four-wheel drive models. Five seat models will also receive reversing sensors which are already standard on seven seat models. Drivers will also have greater visibility thanks to the inclusion of a reversing camera in the electro-chromatic rear-view mirror. The camera screen appears automatically in the mirror when reverse gear is engaged. The Outlander 30th Anniversary Edition is available in a range of variants including two-wheel drive and four-wheel drive versions to suit every lifestyle. Five seat versions of the 30th Anniversary Edition Outlander are available as a 2WD or 4WD 2.4-litre manual or CVT auto. The seven seat Outlander is available as a 2.4-litre 4WD with CVT auto transmission. MMAL Vice-President of Customer and Brand Managment, Paul Unerkov, said Mitsubishi is pleased to offer the 30th Anniversary Edition Outlander as part of the company’s milestone celebrations. “The 30th Anniversary Edition Outlander offers customers a value-packed vehicle which has outstanding safety and comfort features,” Unerkov said. The Outlander 30th Anniversary Edition offers first-class occupant and driver safety with RISE body protection, ABS braking system with EBD, electronic stability control and driver and passenger SRS airbags. Available in Cool Silver, Black, White, Ironbark and Effect Grey the Outlander 30th Anniversary Edition is an impressive addition to the Mitsubishi line-up. The Outlander 30th Anniversary Edition is covered by Mitsubishi’s 10 year / 160,000 km non-transferrable drive-train warranty, five year / 130,000 km new vehicle warranty, free five year/130,000km Roadside Assist and Capped Price Servicing for the first four years or 60,000 km of ownership*. Mitsubishi Motors Australia Limited (MMAL) has introduced safety and luxury upgrades across the Lancer range as part of the 2012 model year update. The highlight of the update is the availability of a new reversing camera on all Lancer models, meaning the entire Lancer range in Australia now has access to this important feature. In addition, there are a number of interior and exterior upgrades, ensuring the 2012 Lancer range continues to offer functionality, safety and style. MMAL’s President and CEO, Genichiro Nishina, said the availability of a reversing camera across the Lancer range builds on the Lancer’s already strong safety credentials whilst also offering customers extra value. “Rear view monitoring is an increasingly important safety factor for all drivers, so we are pleased make a rear view camera available on all models in the Mitsubishi Lancer line-up,” Nishina said. The rear view camera is now standard on VR, VRX, Aspire and Ralliart models and is available for the ES model through the new Convenience Pack. The Lancer Convenience Packincludes reversing sensors and camera, electro-chromatic rear view mirror, Bluetooth 2.0 hands-free phone system and a leather-wrapped steering wheel with audio controls. In addition to the availability of the rear monitoring system, the Lancer cabin is improved across the range through the inclusion of soft touch front door trim with leather inserts and new rear door trims. Comfort and convenience in the entry-level ES is optimised with the fitment of electric power steering, along with improved seat fabric, chrome plated inner door handles and new stylish dark silver interior decoration panels while the silhouette of the ES sport back model has been improved with the fitment of a spoiler as standard. The ES and VR models also boast improved fuel economy of 6.8L/100km with manual transmission and 7.2L/100km with CVT. The lines of the sporty VR are further enhanced by the addition of front corner air dams while safety has been improved in the VR and VRX, with the addition of reversing sensors and reversing camera as standard, with the camera monitor appearing automatically in the electro-chromatic rear view mirror when reverse gear is engaged. Exterior upgrades to the VRX include a Ralliart-style front grille and bumper and new design 18-inch alloy wheels. Inside, the VRX feels more luxurious thanks to the new gloss black decoration panels, leather trimmed and heated seats and the powered driver’s seat which features slide, recline and height adjustment functions. In the stylish Aspire, safety has been improved with reversing sensors and a reversing camera – the camera monitor appears in the Mitsubishi Multi Communication System screen automatically when the vehicle is put in reverse. The Aspire interior receives an electro-chromatic rear view mirror, new black gloss decoration panels, heated front seats and a powered driver’s seat. On the outside, the Aspire’s good looks have been enhanced with newly designed 18-inch alloy wheels. The eye-catching Ralliart now comes with reversing sensors and camera as standard, along with an electro-chromatic rear view mirror and new 18-inch alloy wheels. Inside, the cabin has been refreshed with new seat fabric and gloss black decoration panels. The Lancer ES and VR receive the 2.0-litre MIVEC four-cylinder engine coupled with either five speed manual or CVT automatic transmission. VRX variants and the Aspire sedan receive the 2.4-litre MIVEC engine, with the choice of five speed manual or CVT transmission. Lancer Ralliart variants feature the Lancer Evolution’s inter-cooled and turbo-charged 2.0-litre MIVEC engine, delivering exceptional performance. With a five star ANCAP rating, the Lancer range combines an extensive array of safety features fitted standard across the range including Active Stability and Traction Control, ABS, Electronic Brake Distribution, Brake Assist, and seven airbags, including driver and passenger front, side and curtain, and driver knee airbag. Available colour choices across the range include White Solid, Cool Silver, Black, Lightning Blue, Red and new colours Titanium, Warm Silver and Orange Burst in ES, VR and VRX models. Aspire is available in White Solid, Cool Silver, Black, Titanium, Warm Silver and Red while Lancer Ralliart models are available in Orange Burst, Lightning Blue, Red, Titanium, Black and White Solid. ES, VR, VRX and Ralliart models are available with a sedan or sportback body, with the premium Aspire offered solely as a sedan. “With nine variants, there’s a Lancer model to suit any style or budget. And with the availability of reversing sensors and camera across the Lancer line-up, the range offers style, functionality, efficiency, safety and power at affordable price points,” said Nishina. The Lancer ES, VR, VRX and Aspire are available at over 200 Mitsubishi dealerships Australia-wide, with Ralliart available from specialised dealerships only. 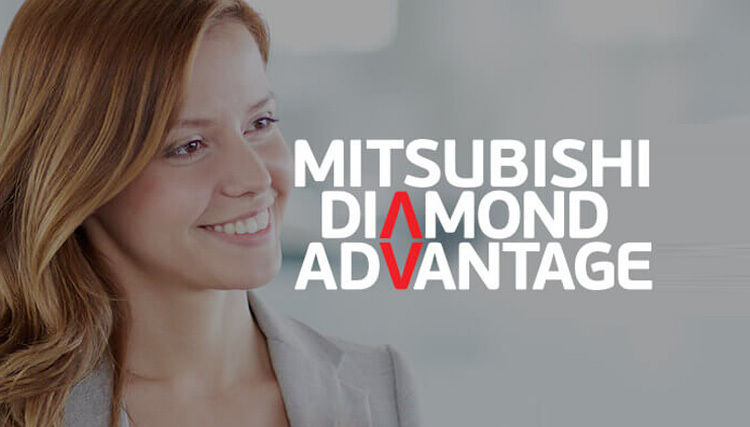 Mitsubishi offers a comprehensive five year / 130,000km whole vehicle warranty, backed up by a 10 year / 160,000 km powertrain warranty and a five year / 130,000km roadside assistance package. It’s Mitsubishi Motors Australia Limited (MMAL) 30th year in Australia and to celebrate, MMAL is releasing the 30th Anniversary Edition Lancer. Based on the 2012 model year Lancer VR, the 30th Anniversary Edition Lancer is available in both sedan and sportback body variants and features a range of upgrades to enhance the Lancer’s cabin comfort and sporty lines. The interior of the 30th Anniversary Edition Lancer receives luxury touches including leather seats with heated front seats, power driver’s seat and privacy glass while the exterior is enhanced through the addition of chrome accent on the rear boot lid and three unique 30th Anniversary badges. MMAL vice-president of Customer and Brand Management, Paul Unerkov, said the company is proud to celebrate 30 years in Australia and the limited edition anniversary models, including the Lancer, are designed to mark the milestone and give customers extra value. “The 30th Anniversary Edition Lancer has all the safety and comfort features you expect from a Mitsubishi with a few special extras making it exceptional value,” Unerkov said. Boasting a five-star ANCAP safety rating, the Lancer 30th Anniversary Edition features Active Stability Control, dual front, side and curtain and driver’s knee SRS airbags, ABS braking system with Electronic Brake Force Distribution and Mitsubishi’s Reinforced Impact Safety Evolution body system with front crumple zones. The Lancer 30th Anniversary Edition is available in White Solid, Black Mica, Cool Silver, Titanium and Lightning Blue. Mitsubishi offers a 10 year / 160,000 km non-transferrable drive-train warranty, five year / 130,000 km new vehicle warranty, free five year/130,000km Roadside Assist and Capped Price Servicing for the first four years or 60,000 km of ownership* on all new vehicles. Mitsubishi’s all-electric i-MiEV city car is now on sale to the Australian public. The model year 2012 i-MiEV combines performance and comfort with the latest electric vehicle technology to provide a sustainable transport solution now and in the future. The i-MiEV, which stands for Mitsubishi Innovative Electric Vehicle, first arrived in Australia in July last year, when 110 were leased to local, state and federal governments and selected innovative organisations. The i-MiEV went on sale to individuals in September this year, making it the first volume-produced, fully electric vehicle for sale in Australia. MMAL’s president and CEO, Genichiro Nishina, said the recommended retail price of $48,800 gives Australian consumers the opportunity to own the latest EV technology while reducing their carbon footprint at an affordable price. The MY12 i-MiEVincludes additional features over the previous model, boosting the vehicle’s occupant safety and comfort levels. With a four-star ANCAP safety rating, the i-MiEV offers comprehensive safety features including driver, front passenger, side and curtain SRS airbags. The addition of Electronic Stability Control to the previous model’s Active Stability and Traction Control and braking system helps the i-MiEV maintain traction on slippery or rugged surfaces and ensures stability and prevents loss of control when cornering. The In-Cable Charging Circuit Interrupt Device provides an extra safety precaution when recharging andthe vehicle is secured by the MiEV OS (MiEV Operating System), an advanced integrated vehicle management system that will instantly shut down all high voltage electric system should an impact occur. The European-styled MY12 i-MiEV’s exterior features a large rear bumper which adds a stylish finish and complements the vehicle’s smooth lines. Rear passenger privacy glass provides enhanced occupant comfort and the heated driver’s seat is the ultimate luxury in cooler climates. Auto lighting control, multimode keyless entry and front and rear power windows complete the overall i-MiEV experience. The i-MiEV’s spacious interior comfortably seats four and offers a host of features including leather wrapped steering wheel, air-conditioning, AM/FM radio and CD tuner, MP3 compatibility and Bluetooth hands-free phone operation. Customers looking for extra convenience can choose to add the optional AVN package which includes DVD-Video, a seven inch wide-screen monitor, navigation, GPS traffic updates and built-in Bluetooth wireless technology. The optional AVN package has a recommended retail price of $2000. Mr Nishina said there had been strong interest from the public since the i-MiEV officially went on sale. “Considering that about 95 per cent of commuters in urban Australia travel less than 100 kilometres per day, the i-MiEV is perfect for environmentally-aware city commuters, who want a stylish, zippy vehicle. We are pleased with the level of enquires we have received from customers wanting to test drive or find out more about the i-MiEV,” Nishina said. The i-MiEV is available in six colours; White, Black, Cool Silver, Ocean Blue, Raspberry Red and Titanium Grey. The Mitsubishi i-MiEV is available from selected Mitsubishi dealers in all capital cities. Mitsubishi Motors Australia Limited recommends that the i-MiEV electric vehicle always be charged using renewable or green energy.